While there are travellers that don’t mind watching everyone board the plane ahead of them and then jumping on at the last second, there are some that simply don’t. If you are a traveller that likes to be one of the first to board, priority boarding may be the way to go. 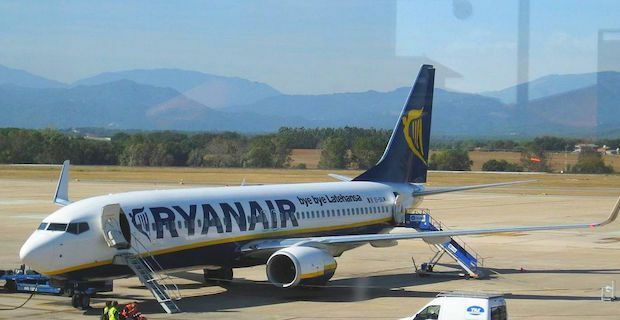 But is priority boarding really worth it with when flying with Ryanair? First, let’s look at what priority boarding on Ryanair is all about. If you have purchased a premium seat which includes seats in rows 1-7 or 16-17, priority boarding is included in your ticket. If you have a general seat, you can add it on for £2.99 per person per flight. As of early 2014, Ryanair randomly selects seats for passengers that have purchased general tickets. Travellers can still choose a specific seat on the plane but as usual for Ryanair, it comes with a fee. The main benefit of priority boarding before 2014 was to avoid having to race to the plane and pick a seat, but now Ryanair assigns you a seat ahead of boarding. Priority Boarding still has its perks though. Being one of the first people to board means that there is plenty of luggage space available. You can sit semi-comfortably in your seat while watching fellow travellers struggle to find space and stuff in their luggage. Whether Priority Boarding is worth it though ultimately depends on you and your preferences. If you like to have plenty of time and not feel rushed then Priority Boarding may be the only way to go. On the other hand, if you do not mind waiting in line and searching for space to cram your luggage into, then save a few pounds and don’t bother with it.